Name : Grr... LV ??? Attack 2 : Cheezburger no picklez!!!! 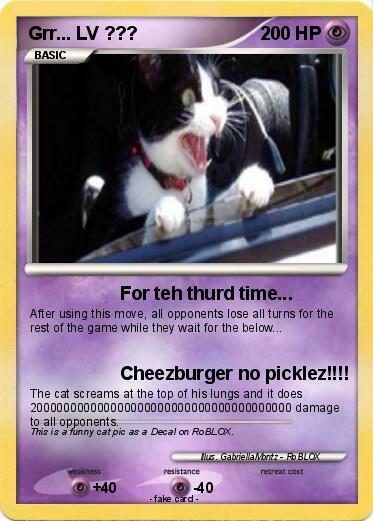 The cat screams at the top of his lungs and it does 200000000000000000000000000000000000000 damage to all opponents. Comments : This is a funny cat pic as a Decal on RoBLOX.